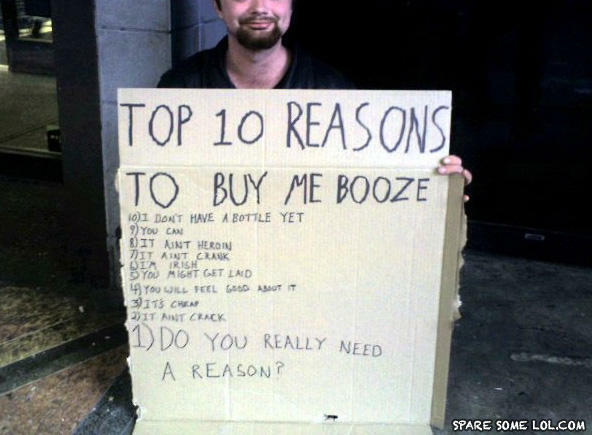 If he's made a list of ten reasons why we should buy him booze, then I say he's earned it! I feel pretty good about the number five one ;) Moral: Nah jk. Me:Sorry dude, I only got lots of crack here... Hobo: GIMME!- Me: I KNEW IT! you dont like? you dont like cocaine? You might get laid... Moral: Lol!